A new rumor has Apple preparing to host yet another special media event in October, this time with the center of attention being its new line of iPads. Mid-October could very well see the introduction of a new line of iPads, if reports from French site MacGeneration are to be believed. This latest rumor also posits that Apple could take the opportunity to introduce new, Haswell-powered versions of several of its Mac desktop and notebook devices. An October 15 event would fall just shy of last year's iPad event, in which Apple introduced the fourth-generation iPad and the iPad mini. It would also be Apple's second event in just over a month, as the Cupertino company introduced both the iPhone 5s and iPhone 5c last week. With regard to the full-size iPad, the prevailing opinion is that Apple will rework the design of the device, bringing it more in line with the look of the iPad mini. For months now, images of the full-size iPad's redesigned case have leaked, showing it looking more like the mini with its slim bezel and thinner profile. The iPad mini, though, remains a comparative mystery. Speculation vacillates between Apple releasing a mini with a Retina display and reports of the high-density screen meshing poorly with the mini's diminutive profile. Apple has also been said to be working on a lower-cost version of the iPad mini, though that model may not see release until next year, if at all. On the Mac side, Apple may be preparing a line-wide refresh of its desktop and notebook offerings. Earlier this year, Apple showed off Haswell-powered MacBook Air notebooks, with Intel's new low-power chip giving those devices battery life in excess of 10 hours. Now, the latest rumor has Apple ready to show off the effects Haswell will have on its MacBook Pro, Mac mini, and iMac line of devices. Late last year, a leaked document showed that Haswell chips could be on their way to the 2013 line of iMacs. The expected Haswell-powered iMacs would likely have a base frequency of 3.1GHz, but they could run up to 3.9GHz with Turbo Boost. The MacBook Pro line is expected to slim down due in part to its Haswell silicon. These models were expected to ship in September, but the latest speculation has Apple holding onto them until an October reveal. Should the event materialize, it could also give a fuller view of Apple's radically redesigned Mac Pro. The cylindrical workstation made an appearance earlier this year at WWDC, but Apple is expected to give a much fuller view of the device when it finally does refresh its computer line. This is becoming a bit of an expensive year. I'm really disappointed this rumor isn't a headline in AI main page. At the time of writing this, all headlines from the first page are meaningless. This rumor would bring to the AI index some of the interest it used to have. I know how you feel but people buy iOS devices in a ratio of over 10:1 compared to Macs and the PC components don't come out often enough because of the lack of demand. As demand dies down in the whole PC industry, manufacturers and suppliers don't have a strong demand to compete for. Even Intel's last event they had a large focus on processors to target phones and tablets. Some of the i7 CPUs are available for the 15" MBP but the dual-cores for the 13" aren't due until Q4 (Calendar Q4 starts in October). What articles can AI write about when there's no components shipping? It used to be that Microsoft vs Apple was a focal point outside of product launches and Microsoft is just irrelevant now. The update cycles don't seem too far apart on the Macs, most are still under a year. I think interest is going to die down with all technology just like it does with cinema. When you see the same cycles happening again and again, it gets really boring after a few years. It's very uncommon that something unique enough comes along and as a result people tend to lower their expectations. Mobile phones and tablets aren't really changing much but the blogs still publish every last detail and go over as much of the politics behind it all and it works because there's nothing else to talk about. I understand, but, from what I see, it seems AI is more biased towards iOS than the market reality. Other rumor sites tend to post more Mac rumors and news than AI. Given that I use iOS as my pocket device, it's nice to read some stuff about iOS from time to time, but my work is number crunching, and so I'm interested in computers. As a result, some other rumor sites post some barely interesting Mac stuff from time to time. But AI is just iOS, and iOS is already on my pocket. The new Mac Pro isn't already in my pocket, so I'm very interested on it. Zero rumors, despite it's gonna been released in the coming months. I understand, but, from what I see, it seems AI is more biased towards iOS than the market reality. Other rumor sites tend to post more Mac rumors and news than AI. If you find Mac news or rumors that aren't here, you can feel free to post them on the forum and link back to the source. The other Mac sites I know of like 9to5mac and macrumors have almost the same array of news this site does. my work is number crunching, and so I'm interested in computers. I feel the same way about phones and similar, I don't quite understand the high interest in phones. While they run apps, they are still mostly just communicators. The iPad is a bit different because you can immerse yourself more with the experience like you would on a desktop/laptop so that might be why those events coincide now. AI is just iOS, and iOS is already on my pocket. The new Mac Pro isn't already in my pocket, so I'm very interested on it. Zero rumors, despite it's gonna been released in the coming months. We know quite a lot about the Mac Pro already. There's an event on October 15th, the E5-2600 processors are available, we know how fast the top-end CPU and GPU is roughly, we know the design so we have an idea of the configuration options, we know the prices most of those components are in their other machines and old Mac Pro, we've seen high quality images and videos of it. There's only one thing that is unknown so far which is what kind of deal they got from AMD on the FirePro GPUs and makes the pricing uncertain. There is nothing more to write about the Mac Pro that we don't know. I suppose they could have an article summarizing it all as filler - some sites have a 'what we know so far' articles but it's not new. The news mostly reflects where Apple is putting its energy and also the volume of reader interest. Feels like Apple is neglecting it's computing niche over it's iOS business. Methinks they should spin off the mobile division. Us power users still very much care about having the latest and greatest to work on and have more than a year go by without a simple refresh is appalling. Computers are suppose to be obsolete after a few months, well now Apple's not even yet released computers are likely to be obsolete on launch day. Apple's not even yet released computers are likely to be obsolete on launch day. For example, Intel is past Haswell), and most macs don't even have it yet. The Haswell releases are coming in separate lots. The dual-core Haswells (for the entry mini and 13" rMBP) aren't out until Q4 (October-December). Signs point to Apple using Iris Pro in the 15" MBP but I haven't seen Iris Pro machines shipping - most seem to be using the i7-4800MQ. I think the desktop chips are out for the iMac but if they plan to go Retina, at least on the top-end models, that could delay things. The Mac Pro CPUs just came out on September 10th so they couldn't ship before then. The delay is more down to Intel's release schedule. Tim even said that new products would extend into 2014. Last year's iMacs were clearly released prematurely as they had massive delays. I wouldn't be surprised if they pushed the updated iMacs into 2014. They need to get updated Retina MBPs out and the Mac Pro should be ready to go so I reckon these will be ready for October. The mini gets dragged behind the iMac so that could even be pulled with it into 2014. 14nm Broadwell would be ready for a WWDC update of the laptops. "Word from Intel’s mobile CPU team suggests Iris Graphics-enabled ultrabooks and notebooks will hit the market in Q4 but it will likely take “a few sales cycles” before we see a wide breath of systems on the market with Iris on board. 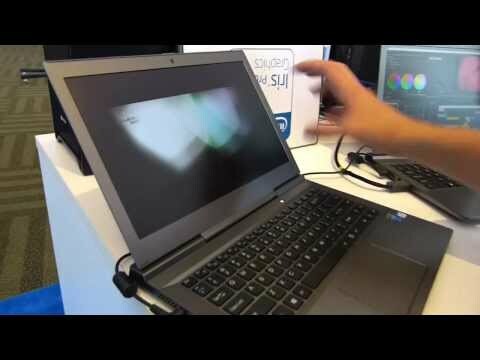 Higher-end Iris Pro Graphics options will be available in more premium notebook designs but again, Q4 is the time frame."